Does it take you a long time to fall asleep, even if you are physically exhausted? Do you toss and turn at night instead of sleeping soundly? Are you wide-awake at 3AM staring at the ceiling and wishing you could catch just a few more hours of shut-eye? Do you feel groggy throughout the day, even though you tried to go to bed at a decent time? Then you may be one of the 50-70 million Americans suffering from sleep deprivation, labeled a national epidemic by the CDC. According to WebMD, insomnia is a sleep disorder characterized by difficulty falling or staying asleep. Other symptoms include waking up too early in the morning, feeling tired upon waking, difficulty with concentration or memory, irritability, and sleepiness during the day. If you think you suffer from insomnia, speak with your healthcare provider. Sleep deprivation is a serious problem that can put you at risk for heart disease, heart attack, heart failure, high blood pressure, stroke, obesity, diabetes, low libido, premature aging, and depression. And according to The National Highway Traffic Safety Administration statistics, 100,000 vehicle accidents occur annually due to drowsy driving, and an estimated 1,500 people die each year in these collisions. Nearly ten million people in the U.S. turn to prescription sleep aids to help with insomnia, but there are actually many natural remedies out there that can make a world of difference. 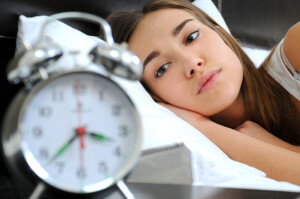 Here are some tips to help you beat insomnia naturally! • Be Smart, and Stick To A Schedule: Take into consideration how much sleep you really need. Check out the new sleep guidelines from the National Sleep Foundation (NSF). Get to bed at the same time each night, and wake up the same time each morning, allowing enough time for the amount of sleep your body requires. Avoid taking naps that can disrupt your sleep schedule. • Just Say No: Caffeine and nicotine act as stimulants that can make it difficult to fall asleep, while drinking alcohol can lead to frequent night wakings. Avoid these late in the day. Instead, opt for chamomile tea, long known for its calming properties, or cherry juice, which is naturally high in melatonin, the sleep hormone. • Get An Early Start: Create a before-bedtime routine to help prepare you for sleep. Your body needs time to unwind after a busy day. Wash your face, brush your teeth, have a cup of warm herbal tea, do some simple yoga poses, take a hot bath, journal, or meditate. • Greet The Day With Exercise: Regular physical activity can help improve the quality and quantity of your sleep. According to recent studies, early morning workouts decrease levels of stress hormones that peak in the AM, leading to better sleep later on. If you aren’t a morning person, just try not to exercise for at least four hours before bedtime, which can be stimulating. • Have A Light Snack: A light snack before bed can help you sleep better, but a heavy meal late at night will do the opposite. Good bedtime snacks include carbs and protein, like yogurt with granola, cheese and crackers, or cereal and milk, to hold off hunger until morning. • Keep It Cozy: Your bedroom should be a comfortable temperature, not too warm and not too cold. It should also be dark and quiet. That means no stimulating TV, computer, tablet, or phone! • Relax And Redirect: Anxiety is a big contributor to insomnia. If you find your mind racing at night, make a to-do list to for the next day, listen to soothing music, or read a book to help you redirect your mind to relax. • Boost Your Melatonin: Melatonin is a hormone made by the body to help control sleep and wake cycles. When your body doesn’t make enough melatonin naturally, melatonin supplements may be able to help. Keeping the lights low in the evening and sleeping in a dark room can also help boost your body’s natural production of melatonin. • Balance Your Mind, Body and Mood: Centre Balance Mind Body and Mood Formula from AndsTrim is a combination of specific ingredients intended to help enhance mood, reduce stress and improve sleep. Centre Balance Mind Body and Mood Formula contains SAM-e to support mood and emotional well being, GABA and 5-HTT to decrease anxiety and fight depression, chamomile concentrate to help reduce stress and improve sleep, DMAE to help with alertness and influencing a positive mood, and ashwagandha, which is thought to have natural sedative properties, plus B-complex vitamins, calcium and magnesium. Our mission at AndsTrim is to provide our customers with the highest quality of all natural supplements, including Balance Mind Body and Mood Formula. We stock only the finest and most effective supplements, at an affordable price, to assist you in reaching your weight loss goals and overall well-being.